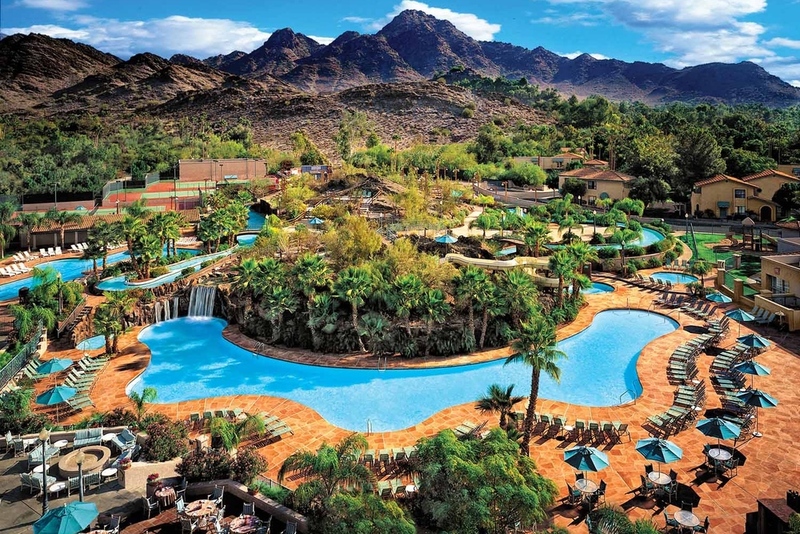 This Phoenix resort offers a water wonderland for kids with some well-deserved R & R for parents. If you’re traveling to the greater Phoenix area, you have plenty of properties to choose from. While Scottsdale is the hub of luxury, budget-minded families can find a kid-friendly escape at the Pointe Hilton Squaw Peak Resort. The resort itself is conveniently located, offering guests easy access to Biltmore Fashion Park, Old Town Scottsdale, and downtown Phoenix. Rent a car, and you’ll have freedom to explore. However, if you’re craving a staycation, this Hilton property boasts a comfortable escape for families. For KidTripster's top 10 recommendations for things to do in the Phoenix-Scottsdale area, click here. The Pointe Hilton Squaw Peak Resort is an older property, currently undergoing a series of renovations. The décor is somewhat dated yet flaunts a charismatic charm. Upon checking in, guests can provide the front desk with their cell phone number, which in turn, gives them the ability to make requests via text. This feature is actually extremely convenient for requesting more towels, making dinner reservations or asking questions. Since the property is large, families have the option of getting around via golf cart; but we chose to walk, giving us a better feel of the resort as a whole. The all-suite resort boasts expansive two-room suites and two-level casitas; we stayed in the Ambassador Suite which was extremely spacious though a bit dark. You walk into a living area with two couches, flat screen TV, 8-person dining room table, and kitchenette including a sink and small refrigerator. The master bedroom is equipped with an oversized closet and small balcony. All in all, the décor was comfortable, cozy, clean, and kid-friendly. KidTripster Tip: Ask for a room with a view. Here’s where the resort shines. The Pointe Hilton Squaw Peak has a four-acre water park called The River Ranch, featuring an expansive lazy river for tubing, a 130-foot waterslide, cascading waterfalls, three swimming pools, and an 18-hole putting course. The water park is well-kept and clean with a spacious design. It’s the social hub, offering an array of family-friendly activities including water volleyball, poolside games, dive-in movies, cannon ball contests, scavenger hunts, waterslide races, and watermelon eating contests. The resort also has an on-site childcare program called Coyote Kids Camp with a full calendar of specialized activities for kids, ages 4 to 12. The camp offers full-day, half-day, and evening programs, giving parents some alone time. Camp programming is led by qualified camp counselors and geared towards educating youngsters about Arizona's history and geography. While the kids are at camp, indulge in some R&R at the Tocasierra Spa; there are plenty of seasonal specials available. KidTripster Tip: Instead of spending money at the park-side restaurant, pack your own snacks, lunch, and drinks. There are plenty of picnic tables available for eating. We traveled with two kids under two, so fine dining was nearly impossible. That’s why we were pleased to experience The Hole-In-The-Wall eatery, featuring western family-style dining. Located in an old ranch house, the restaurant serves breakfast, lunch, and dinner. Guests can eat inside overlooking the water park or outside on one of two patios. The restaurant staff was very kind and welcoming, making genuine conversation with us and our children. My husband got the ribs, and I got the brisket; however, my son’s mac n’ cheese was the hit of the night. The restaurant is appropriately priced, so you won’t break the bank to enjoy a night out with family. KidTripster Tip: Open seasonally. Contact the front desk for current hours of operation. KidTripster Tip: Order the s’mores! You can roast the marshmallows right at your table. It’s pretty cool! The resort fee is $24; it covers WiFi, use of the fitness center, one hour of tennis, one round of miniature golf, driving range privileges, 20% off a spa treatment, and admittance to the River Ranch for up to four people. KidTripster Tip: Self parking is complementary; valet is $10. Save the money and park your own car. Nadine Bubeck is a Scottsdale, Arizona-based mom of two young boys. She is a former television news anchor turned all things mama. Read her blog, buy her book, or shop her apparel line, Mama B. Designs. 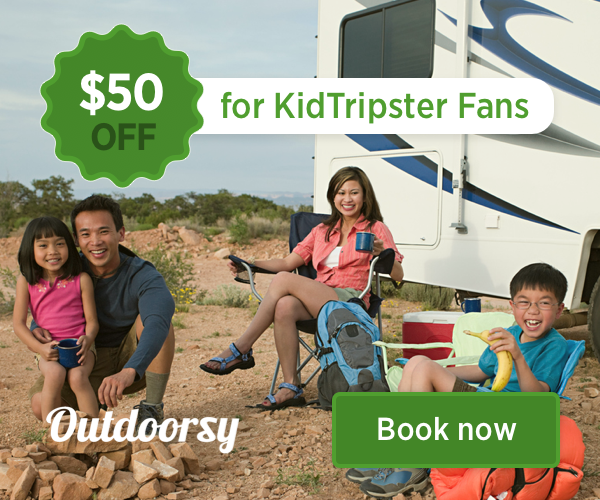 Use coupon code KIDTRIPSTER and save!